With cranky, indie curmudgeons berating us, we at IE developed a complex about some of the music we praised in the ’80s, but no more! Maybe it’s an empowerment from this month’s Thirsty Whale reunion or finally locating the courage to call Steve Albini a Mr. Meany Pants, we’re back to our normal, militant, soft-rockin’ selves, and are willing to watch episode after episode of “Yacht Rock” to prove it. No one rocked softer than downstate native Dan Fogelberg in the ’70s and ’80s, which made his premature death from cancer that much more cruel. In 2003, before he learned his diagnosis, Fogelberg, 56, had been digging through live recordings when he discovered some unfinished demos. They sparked a desire to complete them, which was accelerated when, in spring 2004, he learned his advanced case of prostate cancer would likely finish him. 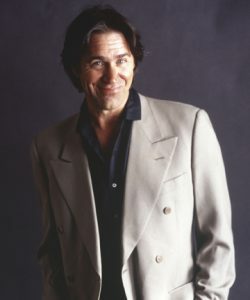 Undeterred, Fogelberg wrote and completed three more songs that he put in a safe deposit box in 2006 with instructions for his wife to release the album post-mortem. Jean signed off on one of the tracks, “Sometimes A Song,” on Valentine’s Day 2008 to benefit the Prostate Cancer Foundation. Full Moon/UMe released the rest on September 22nd as Love In Time. If It’s Not Free You’re Fired! We’d like to pin it to Jimmy Chamberlin’s departure and call it a day, but Billy Corgan‘s actions since the drummer left (the idea of) Smashing Pumpkins has set our armchair-psychologist genes atwitter. Only a couple years after demanding he get “his” band back and accordingly not getting his way, Corgan is giving away the next Pumpkins album, Teagarden By Kaleidyscope, for free to show his benevolence as a god. The plan is to bequeth (queefe?) 44 tracks whose sound “harkens back to the original psychedelic roots of the Smashing Pumpkins; atmospheric, melodic, heavy, and pretty” to be showcased on a spring 2010 tour. Corgan’s song-at-a-time idea is supposed to commence around Halloween without any signing up or access priveleges, which, given the songs’ Tarot roots, makes sense. Lull yourself into a state of mind where you didn’t have a job or responsibilities, or kids, or a mortgage, or friends, and you’ll be in tune with The Creator. This year’s billette has been overloaded by the likes of Bela Fleck & His Flecktones (first show since 2007) and Philadelphia-based psyche-rockers Dr. Dog. The preliminary bill includes Emmitt-Nershi (of Leftover Salmon and String Cheese origins) and Eddie “The Chief” Clearwater. Now ask yourself, do you think you should be alone on the 12th? When Swedish-Americans settled Andersonville, they didn’t solicit outsiders to help out. Hells no. When you walk into the Swedish-American museum up on Clark Street, you’re overtaken by the forced marriage of yellow and blue, with the square-jawed disapproval of locals when you try to turquoise or mustard anything. It’s the perfect spiritual home for Decibelle 2009, which gathers femme-centric films and music into a cohesive womanstatement. 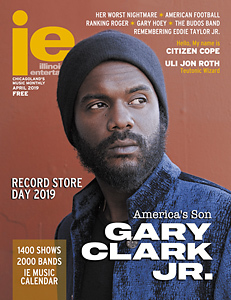 We’re a music magazine, so we won’t stray much, but the presence of Meshell Ndegeocello, Psalm One, JD Samson (Le Tigre), and Emilie Simon has us thinking we don’t need to do much promo. It also gives us the perfect opportunity to combine news of Jessica Hopper‘s Girls’ Guide To Rocking (Workman) with this year’s Decibelle panels, including Conquering The Gender Gap In Music And Film, which tackles how to compose electronic music, how to navigate the music and film biz with your tunes, and even learning the basics of film and video production. If you’re there, kick the leg of the person next to you to make sure they’re sweet and Swede.